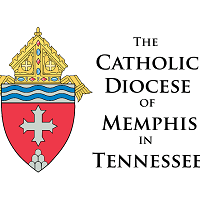 In 1930, Bishop Alphonse J. Smith of the Nashville Diocese, established the 12th Catholic parish of Memphis, St. Therese of the Infant Jesus. He was assisted by Msgr. James Whitfield, Pastor of St. Bridget’s Parish, soon to become the first pastor of St. Therese. Not long after it’s founding, St. Therese became affectionately known as “Little Flower”, the nickname given St. Therese of Lisieux when she was a Carmelite nun. Msgr. Whitfield was charged with the task of raising funds, purchasing land, hiring an architect, and beginning construction of the first of four buildings. It was agreed to build the school first as funds were limited. Ground was broken on March 25, 1930. The upper floor was reserved for the church and during the following 21 years this sacred space served our parish in Word and Sacrament in an estimated 7,700 Masses. In 1951, when the present church was built, this second floor was converted to a cafeteria and additional classrooms for the school. Father Joseph E. Leppert, the second pastor of St. Therese Church and Little Flower School, shepherded this parish through the turbulent 1960’s when many families began moving to other parishes. With the closing of St. Anthony’s Parish in 1963, Msgr. Leppert welcomed them and all African American families to this evolving neighborhood and to establishing an integrated parish in Memphis. Msgr. Leppert was much loved throughout the community and actively supported the establishment of VECA (Vollentine-Evergreen Community Association). Msgr. 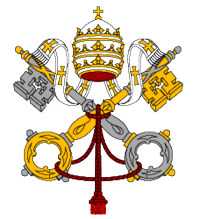 Leppert was succeeded by Father John Scola, Father J. Edwin Creary, Father Edward Byrnes, Father Robert Ewing, Father David Foley, Father Richard Coy, Father Carl Jude Hood, and Father Patrick Gallagher. We are forever grateful to them for their service to our parish.